Some young guys, like my dad, had the bug to fly from an early age. 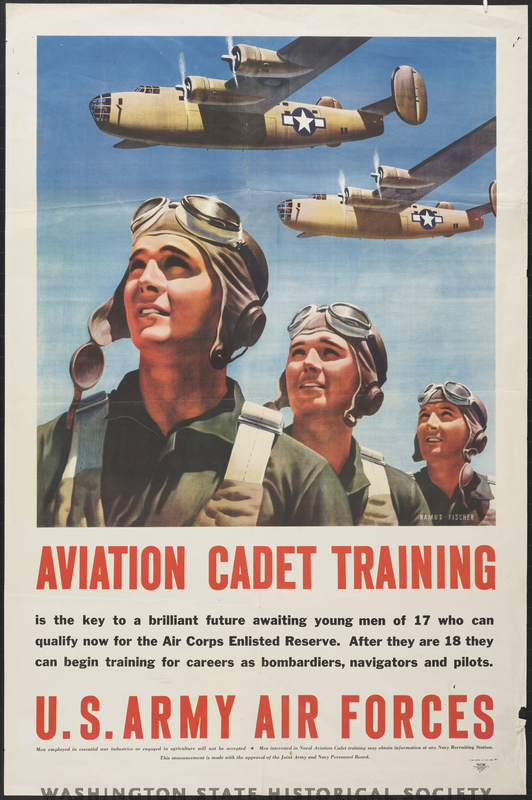 This recruitment poster made service in the Air Corps look like a cakewalk. “The boys” soon found out it wasn’t all glam. Courtesy of Washington State Historical Society Collections. March 2, 2014 — Recruitment posters like these were hung in schools and stores around town. While an effective tool for calling out patriotic high school grads, these posters also tell us volumes as historical evidence. They show us attire, plane types, and suggest the means by which men were inspired to join the war effort. One gut-wrenching bit of declassified info I found stated that B-25s were being manufactured at a rate that calculated plane life spans of just 11 missions. If that was the rate for planes, imagine the recruitment needs for men. It’s from letters and posters like these that we can gain a context for the period. The range of research that’s required to construct even the simplest historical scene can be daunting for those historical sticklers among us. For example, I needed to know how young guys were recruited for the Air Corps, and what motivated them to sign up. Guys could either wait to be drafted or be pro-active and test for the branch of the service they preferred. Even boys too young to enter the service, like my uncle Wendell, were eager to join. His record also contained a mystery; why was his place of enlistment noted as Miami Beach, Florida when he was living in Washington State? 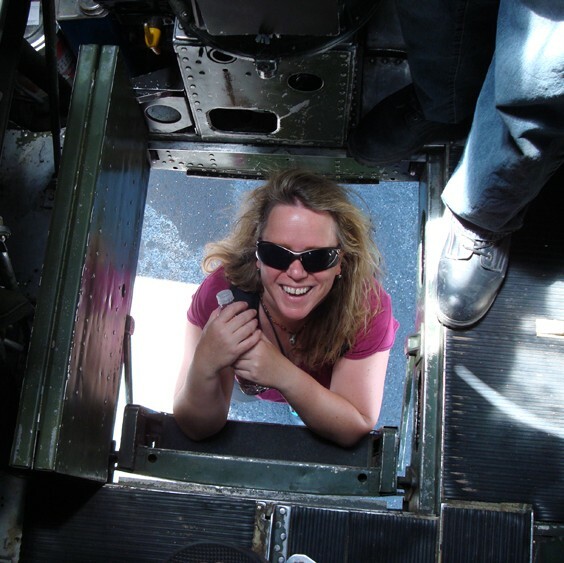 Mission 31: Who Was The Real Tail Gunner?